Capsaicin is an extract and active substance obtained from chili peppers. 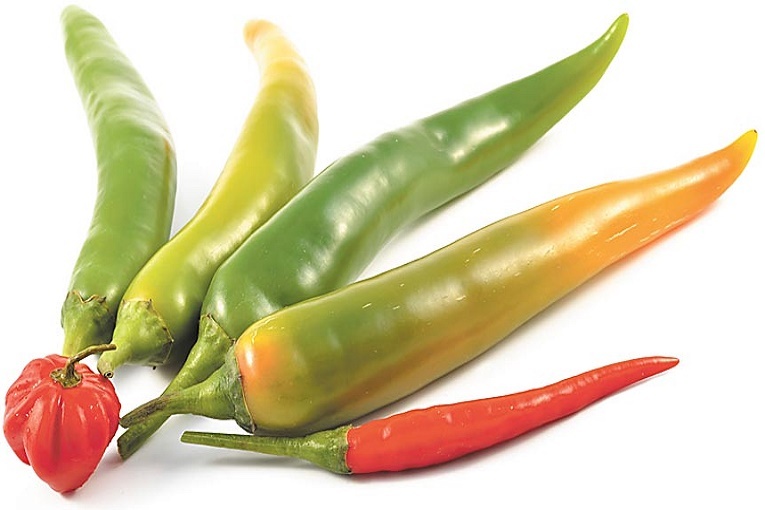 It is also responsible for the spicy taste predominant in chilies. Although it is found worldwide, it was first grown in America. It contributes extensively in treating many ailments, has many medicinal uses and is used to create many products namely creams, lotions and pepper sprays. Capsaicin is found in all varieties of chili pepper and its amount varies according to the heat level in the chili. However, moderation is the key in the use of Capsaicin as it offers a plethora of health benefits and can have a few side effects. When Capsaicin is taken in moderation, it contributes in healing of many health issues when eaten as a supplement, as a powder or in its natural form. Capsaicin extract provides relief from pain in ailments such as in osteoarthritis, migraines, sinus aches, shingles, postherpetic neuralgia pain, rheumatoid arthritis, neuropathic pain, complex pain and migraine. The consumption of capsaicin can contribute in treating certain cancers such as prostate cancer by keeping carcinogens away from getting imbibed with DNA. Capsaicin is an extremely effective anti-inflammatory agent. It can help in diseases such as arthritis, diabetic neuropathy and psoriasis. This extract is highly beneficial in accelerating metabolism thus leading to weight loss. Fat burning supplements also consist of Capsaicin as a main ingredient. Capsaicin also helps in keeping cholesterol under control, which leads to a healthy heart. Laden with antibacterial properties, Capsaicin is effective in clearing mucus, which proves highly beneficial in healing sinusitis, asthma, and clearing congestion. Capsaicin extract works in intestinal disorders such as stomach pain, diarrhoea and cramps. Apart from the above mentioned ailments, Capsaicin also helps in providing relief from nerve pain, diabetes, colds, coughs, toothache, alcoholism, malaria, muscle spasms, mouth sores, healing of bacterial diseases, laryngitis and increases release of endorphins. Capsaicin extract is also used in the cosmetic products used in the hair care, skin care, bath products and cleansing category. Although Capsaicin can prove to be highly beneficial when taken orally for a short period, but when taken in substantial amounts, it can lead to side effects like. Other side effects of include. Capsaicin is LIKELY UNSAFE in pregnancy and breastfeeding. It can stimulate bleeding and may lead to miscarriage. You should not take Capsaicin in following health conditions. Do not apply Capsaicin product or creams on broken skin, Eyes or nose. If you are allergic to capsicum in its natural form, then it is better to stay away from products and medication consisting of Capsaicin extracts.